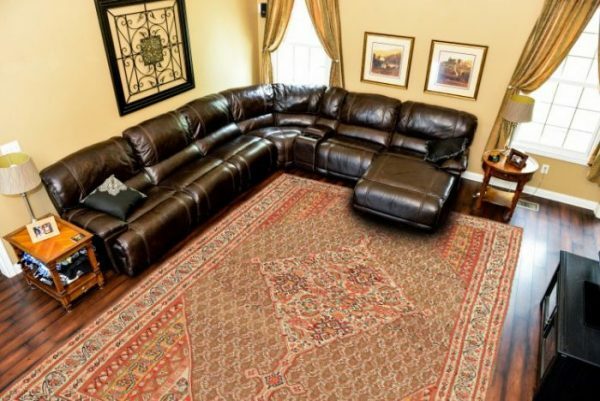 This is unquestionably the most popular allover repeating field pattern on antique Persian (and other types of) rugs. Four curving leaves resembling fish (mahi) are set around a rosette centered diamond. 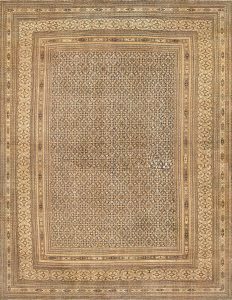 This pattern may be diminutive and precise as on Tabriz rugs, medium scaled and elegant as on antique FerAghan rugs, or boldly semi-geometric as on Heriz rugs. 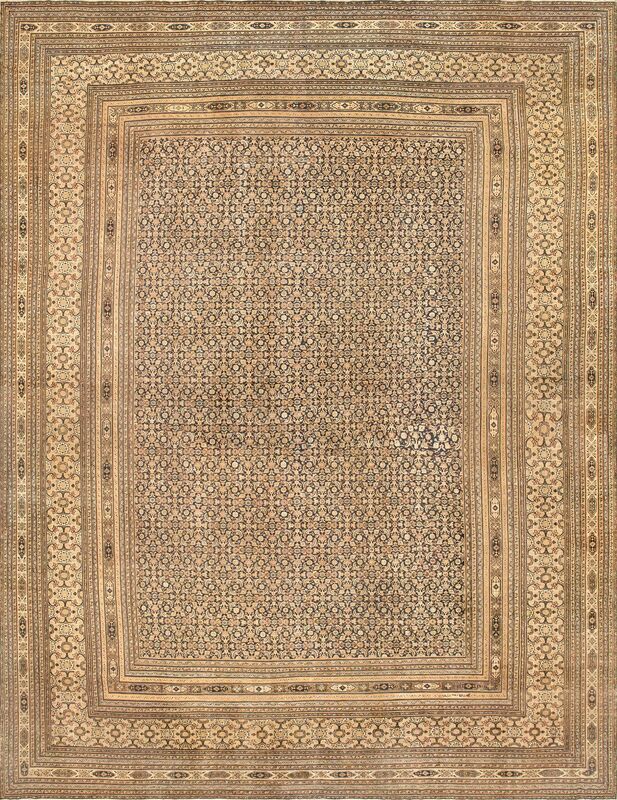 Antique carpets, vintage rugs, anywhere and everywhere, on any colored ground, you will find the Herati pattern. By the way, Herati (“from Herat”) does not really refer to the source of this supremely versatile motif.